I’m currently standing at a crossroads along my SoulJourn. Why? I haven’t a clue – okay, maybe I do. I am a writer who hasn’t spent enough time writing recently. I come home from an eight-hour work day (in an unrelated field) and relish the time to relax. Instead of spending an hour or two writing after dinner, I put my feet up and watch television (though…since my professional career of choice is writing for television you could say that I’m doing research). I should clarify…I do write during the week (Motivational Monday and Sunday SoulJourn), but I have not spent any time as of late working on my fictional material. It’s as though I left my characters back in their respective villages and headed out to places unknown, instead of bringing them with me on the journey. This artistic spirit craves creativity. Without it, my soul hungers for purpose, connection, and value. As I stood in the metaphorical forest today, I realized how much I missed my characters and the stories I’d left unfinished. I picked up pen & paper after dinner tonight, and got at least one set of characters out of artistic limbo. I’m progressing forward and taking my characters with me! In a world currently overwhelmed with social media, digital advances, and fast-paced living, we sometimes race straight past Present and head towards an unknown Future. 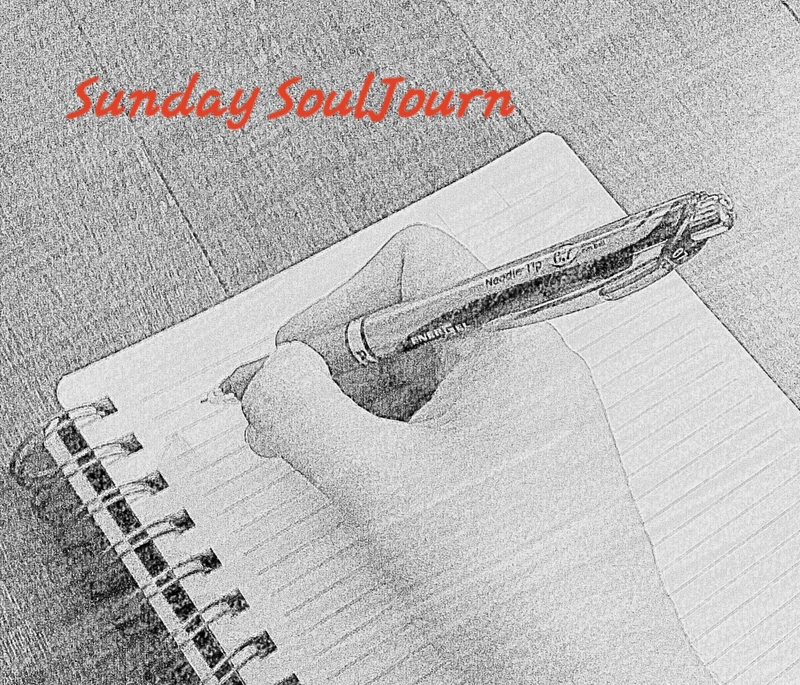 I admit to the above and, as such, decided to create Sunday SoulJourn as a reminder that life is not a race; it’s a journey. Join me every Sunday as I reflect, ponder, and contemplate topics that tend to get overlooked as we sprint through life.